WAN-IFRA in partnership with Sida is pleased to announce the launch of nominations for the Women in News Editorial Leadership Award. Eligible Countries: Countries from sub-Saharan Africa and the Middle East and North Africa region. About the Award: The award recognises an exemplary contribution of an Editor to her newsroom and under her leadership, the contribution of her newspaper to society. Two women in 2018 will be recognised as leaders, one being from sub-Saharan Africa and one from the Middle East and North Africa region. We look forward to receiving nominations from across the continent! 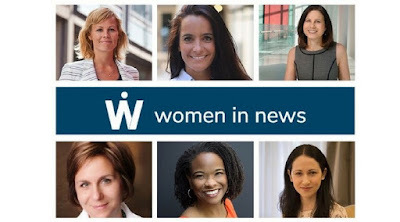 Women in News works to increase women’s leadership and voices in the news. It does so through targeted capacity building actions to develop media leaders, combined with a partnership-driven approach to advocacy that aims to sensitise and mobilise the industry on gender equality. Be based in the sub-Saharan region of Africa or the Middle East and North African region. Hold a senior editorial role as of I January 2018. Work in a news media role (newspapers, magazines and digital-only). The media house can be any size from across the regions. Number of Awardees: One being from sub-Saharan Africa and one from the Middle East and North Africa region. Value of Award: The Winner will receive an all expenses paid trip to attend the World News Media Congress 2018, the premier global annual meeting of the world’s press. Duration of Award: The 2018 recipients of the Women in News Leadership Award will be honoured during the WAN-IFRA News Media Congress in Estoril, Cascais, Portugal, 6-8 June 2018. How to Apply: You can nominate yourself, or be nominated by someone else. Please download the application form attached and email it to apply@womeninnews.org . Award Provider: Women in News is a partnership with the Swedish International Development and Cooperation Agency, Sida within the World Association of Newspapers and News Publishers, WAN-IFRA.